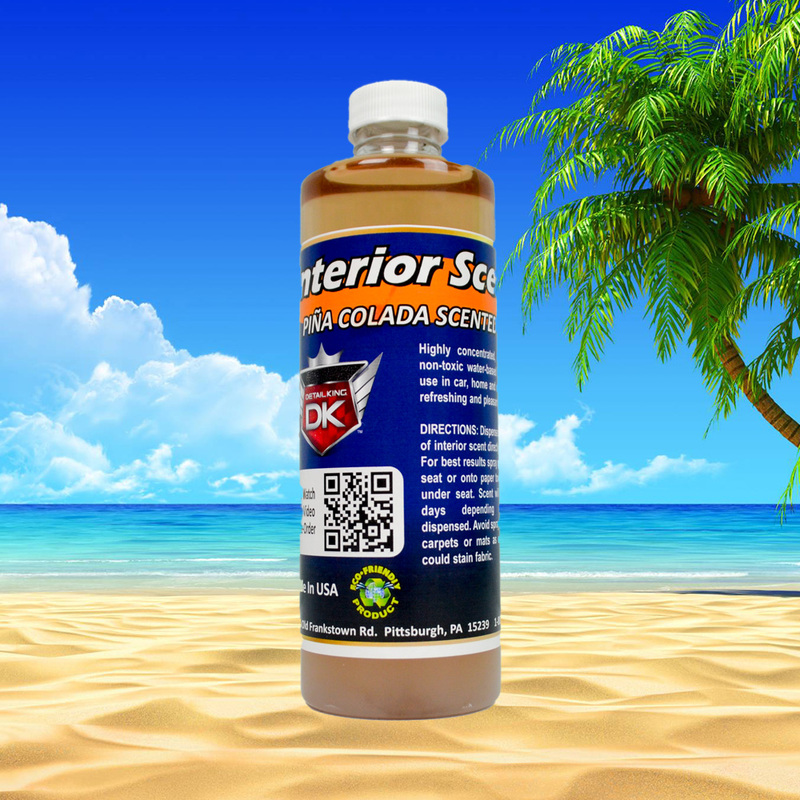 Pina Colada Interior Car Scent CONCENTRATE can be mixed with water to the concentration of your liking. One 8OZ bottle will make 1 gallon or 4 quarts of this interior car scent. If you like your scent a little stronger you can use less water to achieve the results you like. It’s best to ask your customer if they care for an interior scent to be applied after the detail. It is best to dispense a few ounces underneath the seat or saturate a small tissue and place under the seat. Odor Free "Wild Cherry Scented"